In this photo is a family camping at Table Rock State Park. To learn more about Table Rock State Park camping, click here. Whether your ideal campsite includes 50-amp service, Wifi Internet, a campfire ring, a comfortable spot for a tent — or all of the above — our campgrounds and RV parks are a natural to impress. Find out why the Branson Ozarks is one of America's favorite places to camp. From lakeside beauty to quiet woodlands and mountain views, you're sure to find the perfect site! Whether you’re on a cross-country road trip or headed for the Ozarks, Branson and its surrounding area are the perfect place to park your tent or RV. Enjoy the waterfront beauty and water activities at Bull Shoals Lake and Table Rock Lake. Or stay in the quiet woodlands of nearby state parks. With 50-amp service and campfire rings, along with the proximity of so many great shows and attractions, it’s little wonder Branson is one of America’s favorite camping destinations. Many of the campgrounds provide amenities likes internet access, laundry facilities, restrooms and showers to make your stay enjoyable. 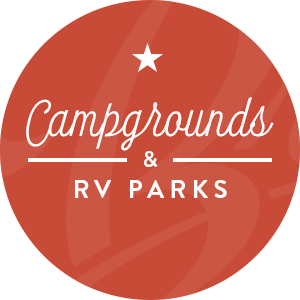 Tall Pines Campground Is Rated In The Top 3% Of All RV Parks In America!